We are very excited to bring QuickBooks Online connectivity to A2X. QuickBooks Online USA, Canada, UK and Australia are all supported in A2X and you can connect to any Amazon marketplace. The steps below will walk you through getting started with QuickBooks Online and A2X. Before connecting to QuickBooks, log in your A2X account. 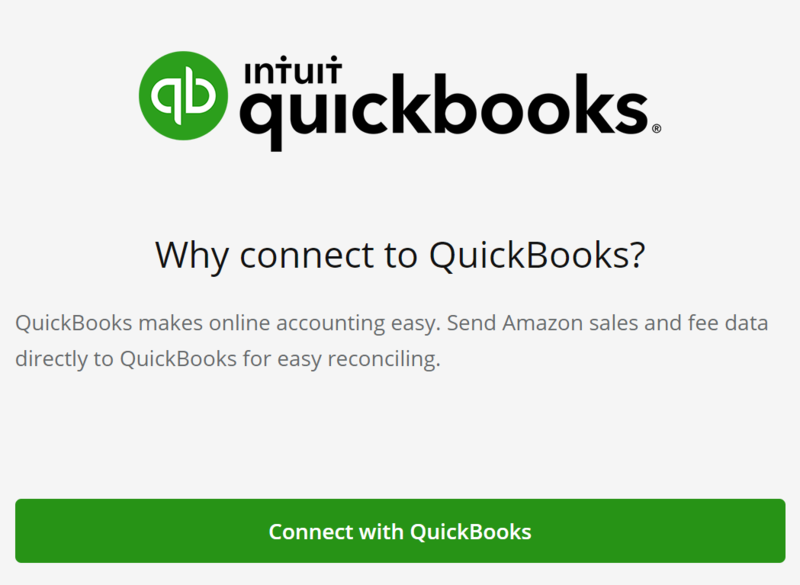 You can also connect to Amazon - but this can be done either before or after connecting to QuickBooks. Lastly, you should see the connection being created before you are redirected back to A2X and the connection window closes automatically. Go to A2X Settings > Connections and select the bank/credit card accounts that you use with Amazon. You need to map to the bank account that Amazon deposits settlements into and also to the credit card account that is used to pay amounts owed to Amazon. If you use Amazon's automatic currency conversion feature, your foreign currency payments from Amazon will be converted before they are paid to your account. Let's say that your CAD payments are paid to your USD account in USD. In this scenario, you will need to create a foreign currency clearing account that receives the payments in the foreign currency, and then 'transfer' from that account into your bank when reconciling. would select the account for deposits in A2X settings. For complete instructions on handling multiple currency deposits from Amazon, please see our QuickBooks multi-currency guide. A2X currently requires at least one QuickBooks tax rate to be configured - it can be simply 'no tax', which means your taxes will be calculated outside of QuickBooks (in the case of US merchants, that might mean using a tool like TaxJar or Taxify to help). This is the most typical scenario for US sellers, as Amazon.com will calculate sales tax on your behalf. In our example below, you see that there is currently one sales tax rate defined within this QuickBooks account. There can be as many preset tax rates as you need. They can be created in QuickBooks by selecting the 'Taxes' menu on the left side of the QuickBooks screen and then selecting 'New'. Please Note: We recommend that you consult with your accountant or tax adviser regarding the applicable tax codes/rates for your state, country or business structure. Now, we can configure A2X with accounts and taxes for each transaction type and send the financial data to QuickBooks. You'll need to select accounts from QuickBooks Online and assign tax rates for each type of Amazon transaction. The easiest way to do this is to use the A2X mapping screen called 'Accounts and Taxes'. Please Note: In the beginning or during trial phase, you might want to chose fairly broad categories, but when you are setting up your account for more detailed accounting, you will probably want to choose more granular account mappings, which will give you better data in your financial reporting. To review, add or edit your account and tax rate mappings, click 'Accounts and Taxes' in the top menu of your A2X. The invoice details for the settlement period will be displayed, and you may see one or two invoices, depending on whether the settlement periods covers 1 or 2 months of sales and fees. The details on the invoice can be reviewed by clicking on 'Show Invoice Detail'. Once you are happy with it, send it over to QuickBooks by pressing the 'Send invoice to QuickBooks' button. In QuickBooks, you will see one (or two) journal entries that A2X has created. Each journal entry will have a date (the date the transactions are applied - which is important if the settlement covers more than one month), and the list of debit and credit transactions that apply in that period. The final entry on the journal will be the deposit into the nominated bank account (or withdraw, if you owe Amazon money for that period). In the event that QuickBooks doesn't automatically match it, as there may be two journals to match to the one deposit, then you can select 'Find other matching transactions'. Now, all of the sales and fees Amazon paid/deducted have been properly accounted for and reconciled to every $ paid into your bank account. If your settlement period covers only single month (e.g April 10th to April 24th), then there will be one journal entry in QuickBooks, where the final line item in the journal will be the single deposit to your bank account. However, if your settlement period runs across a month end (e.g April 24th to May 8th), then A2X will create two journals; one for the first month and one for the second month. This is important for keeping the transaction data in the correct month for business financial reporting. The effect of this split is that at the end of the first month the amount that Amazon owes you for the first month's of transactions will be collected in a carried balance account and carried in to the second journal period. Then, at the end of the final journal, the total deposit will be made. This will ensure that the total deposit in your bank account from Amazon will perfectly match to the journal that A2X creates, and QuickBooks will offer it as a match on the bank transactions screen.